Hot, savory, and addictive. What else would you expect from bacon, Jalapeños, and our White Cheddar Mashed Potatoes. 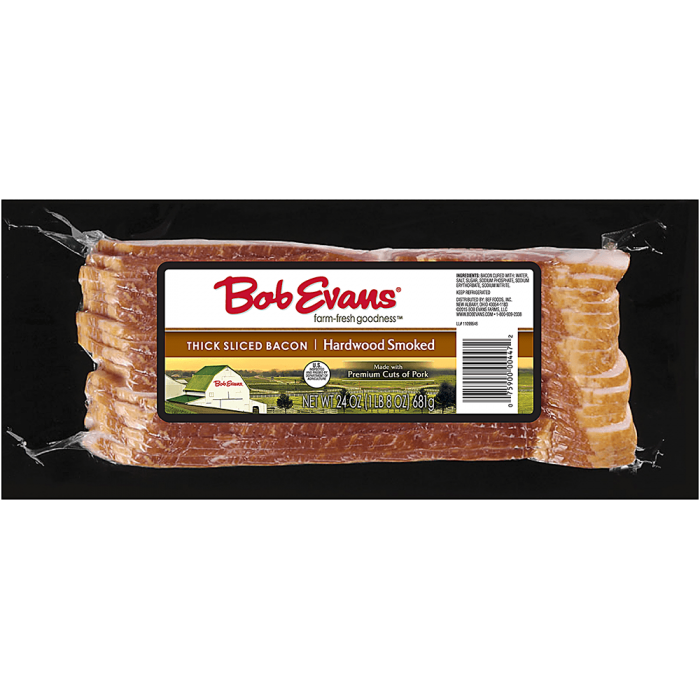 Set bacon out to room temperature so that it is pliable and easy to work with. In a mixing bowl, combine mashed potatoes and garlic herb cheese with a rubber spatula. Stir until incorporated. Spread approx. 1 tsp. of the mashed potato mixture in each jalapeno half, level off with a butter knife or spatula. Be sure not to heap potato mixture or it will spill out of peppers. 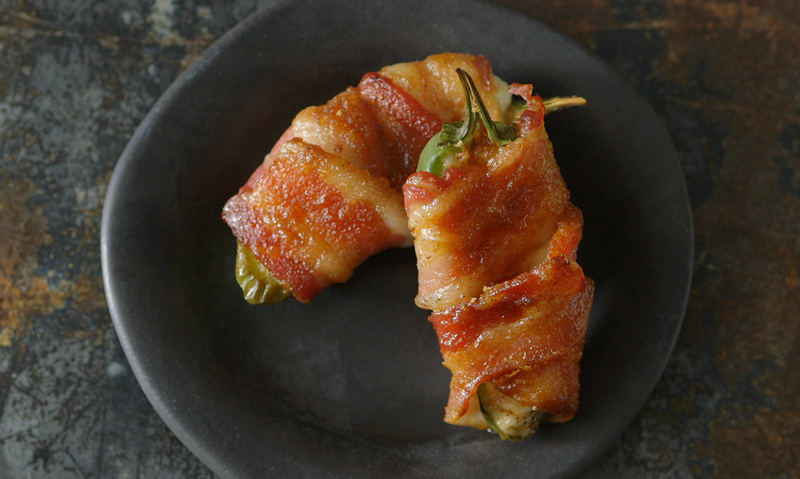 Wrap each jalapeno with bacon, use 3 half slices for large jalapenos or 2 halves for smaller sizes. Be sure that the bacon is wrapped sealing in the mashed potato mixture tightly. Combine brown sugar and cayenne pepper in a small mixing bowl. Generously sprinkle the bacon with brown sugar and pat gently to make it stick to the bacon. Line a cookie sheet with a piece of parchment paper so sugar does not burn to the pan. Place into the oven to bake until the bacon reaches desired crispiness around 25 to 35 minutes. 2 Set bacon out to room temperature so that it is pliable and easy to work with. 3 In a mixing bowl, combine mashed potatoes and garlic herb cheese with a rubber spatula. Stir until incorporated. 4 Spread approx. 1 tsp. 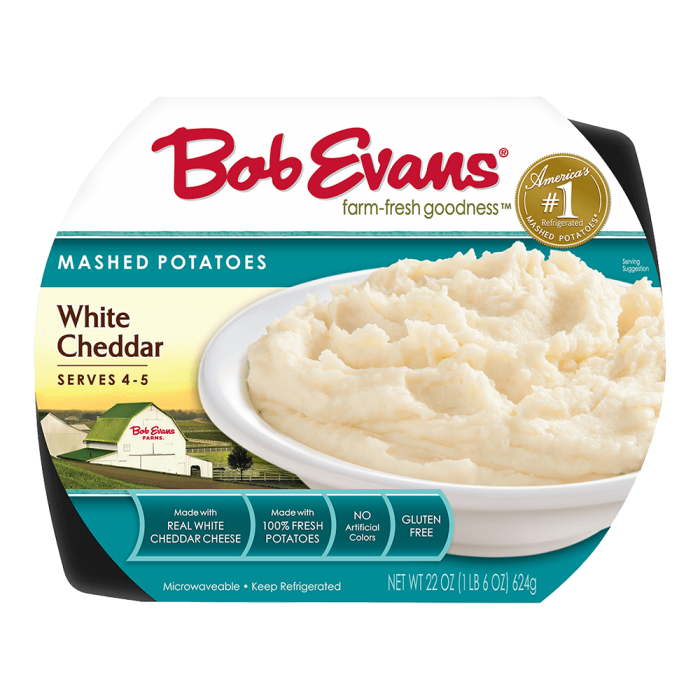 of the mashed potato mixture in each jalapeno half, level off with a butter knife or spatula. Be sure not to heap potato mixture or it will spill out of peppers. 5 Wrap each jalapeno with bacon, use 3 half slices for large jalapenos or 2 halves for smaller sizes. Be sure that the bacon is wrapped sealing in the mashed potato mixture tightly. 6 Combine brown sugar and cayenne pepper in a small mixing bowl. 7 Generously sprinkle the bacon with brown sugar and pat gently to make it stick to the bacon. 8 Line a cookie sheet with a piece of parchment paper so sugar does not burn to the pan. Place into the oven to bake until the bacon reaches desired crispiness around 25 to 35 minutes. 9 Let peppers cool slightly before serving, about 5 minutes.